Yay, it's Friday again and I'm so looking forward to this weekend because I definitely need some sleep after this long week! I hope everyone had a great one! This spray is amazing. Literally, it's life changing. Now I haven't tried too many makeup setting sprays but the ones I have tried don't really work for me, mainly because I am so super duper oily. This one from Makeup Revolution is touted as an oil control fixing spray so I had to try it and I am not disappointed. While I still get a little shiny in my t-zone area it keeps my makeup nicely set and keeps the rest of my face from being one huge oily mess so I am really loving it. I generally like using powder for my brows but was intrigued by this e.l.f. instant lift brow pencil. Mine is in the shade Natural Brown. I would love to show you a swatch but in travel somehow the packaging got ruined and the pencil will no longer roll up. So definitely not a fan of the packaging but the product itself is so good. It's a cool-toned brown (I add a more golden brown gel on top to warm it up a bit) and it makes doing brows so quick and easy, I will definitely repurchase. The spoolie is also one of my favorite things, it's really stiff which some people might not like, but I love since my brows are a thick mess! I've also been loving the e.l.f. Essential sunkissed glow bronzer in the shade Sunkissed. I love using this on top of my contour to give my face a warm glow. It's slightly powdery but for $2 you really can't beat how pretty it looks! This Hard Candy bronzer in the shade Tiki has been my favorite highlight as of late. I've been loving the softer glow for my fave and this blends out so beautifully, you can pile it on or leave it super natural looking. Lastly, I have been loving sparkling water. Since giving up soda, I do miss having a carbonation kick once in a while and these are perfect for that. 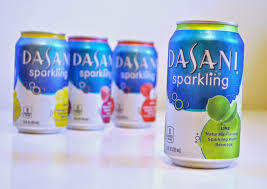 The Dasani ones have been my favorite because although they are flavored, they aren't super strong like some of the other brands, plus they are super affordable. Happy weekend everyone! Let me know what you've been loving this week! Happy Long Weekend beautiful!! Gorgeous bringers and I love me some flavored waters. I do not drink soda so I love a bit of flavor from time to time. I hope your weekend is everything lovely, and full of laughter and love! Hugs hugs hugs! The bronzer is lovely! Great post! That setting spray sounds amazing definitely need to try it! Hope you are having a great weekend so far my beautiful friend!